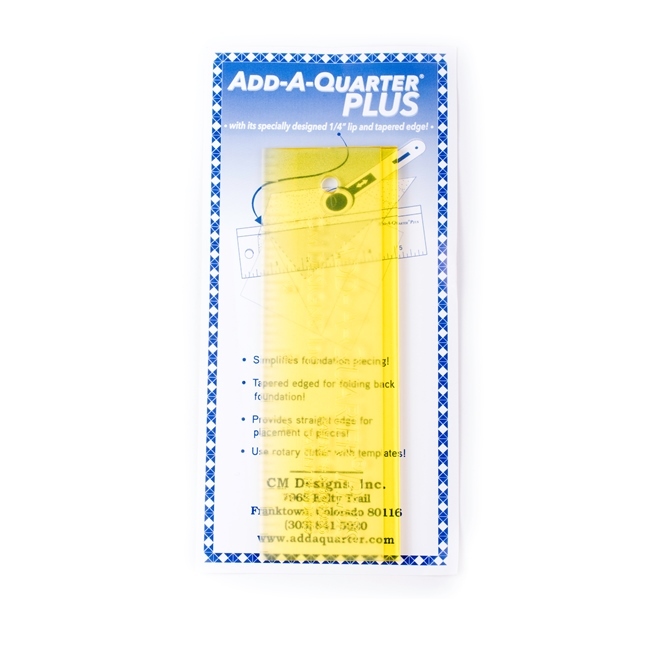 The lip on this ruler automatically allows 1/4 inch seam allowance to any angle for your rotary cutter. Great to use when foundation piecing. Sale Price $4.50 reg $8.99. 50% off!